Our hands and feet do all the hard work in a day, night and are often tired and dry. It would often put across a bad impression when you shake hands with someone or when you are signing a business deal or just raising a glass to give a toast. More often than not, we tend to spend a lot of time pampering our faces but fail to pay attention to other different parts of our body – like our hands and feet. We do not realize the importance of impeccably maintained hands and feet. The need to care for our hands and feet is not only from the aesthetic point of view. It is also important for that well-groomed look as well as to keep them germ-free and healthy. Happy hands and feet make for a healthier and better living. Pamper yourself with a good manicure and pedicure every once in a while and feel relaxed. Your hands and feet are soaked in a tub of warm water filled of shampoo or skin softening gel for about 15 minutes. The dirt is scrubbed with a soft brush. Focus is given to areas between toes and fingers. The foot soles are scrubbed thoroughly with a foot brush. It is dried well and massaged with lotion. It is massaged firmly from tips upwards for 10 minutes to boost the circulation. Small cotton balls between the toes to separate them. Nails are clipped to a suitable length. Nails are filed to an even round shape. After soaking, the nails are soft and less likely to break and hence are easier to trim and file. Then nail paint is used to bring color into the well-groomed nails. While manicures and pedicures are a good way to feel pampered, their benefits go much beyond indulging yourself. Let’s look at some reasons why regularly tending to your hands and feet is essential. The act of soaking your hands and feet in warm water and getting a stimulating massage at the end of the treatment promotes blood circulation. Gentle exfoliation with a scrub also increases the flow of blood, thus giving your skin a healthy and rejuvenated look. Listen to some soothing music during your treatment, and you will drift away from your troubles as a skilled beautician will work on your tired hands and feet. Exfoliating with a gentle scrub and vigorously cleaning using shampoo and a stiff brush will slough off dead cells, thus leaving behind smooth and even skin. After exfoliating dead cells to reveal clear and smooth skin, your beautician will gently massage your hands and feet with a moisturizing lotion to leave them feeling soft. The combination of bleaching, exfoliating and soaking in warm water works to remove stubborn tan marks, thus revealing your natural skin tone. A beautician will clip, clean, buff, polish, and paint your nails as well as remove cuticles, thus instantly enhancing your appearance. 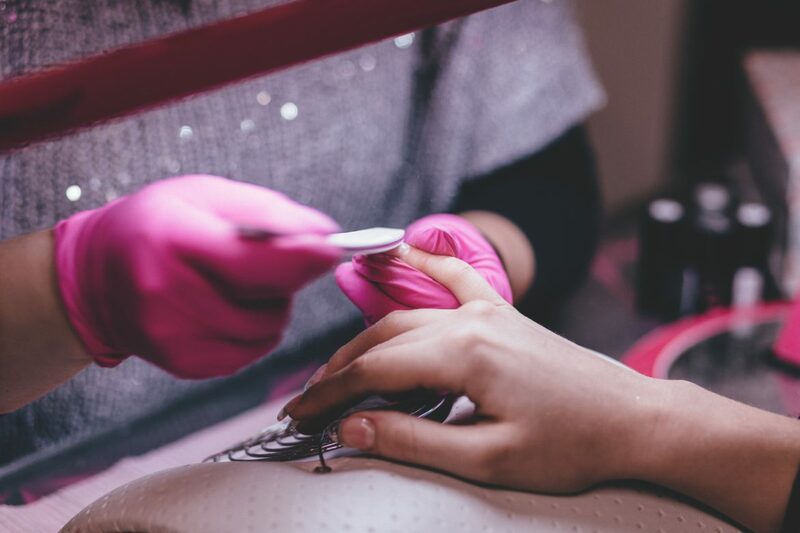 As you can see, manicure-pedicure treatment is not just an occasional treat you should indulge in, but a regular act of self-care that offers lasting benefits. Book an appointment at StyleU salon and schedule sessions every two or three weeks to enjoy clean and healthy nails and skin.